The Range Dial is a versatile wireless cooking thermometer that can be used with or without your iPhone. Turn the machined stainless steel knob to set an alert, or use the iOS app for more control. 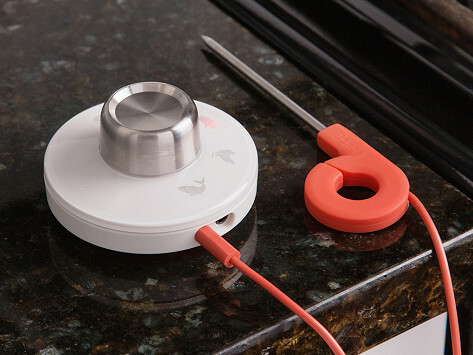 It's quick-to-use and has a magnetic base to stick easily to your oven, too.